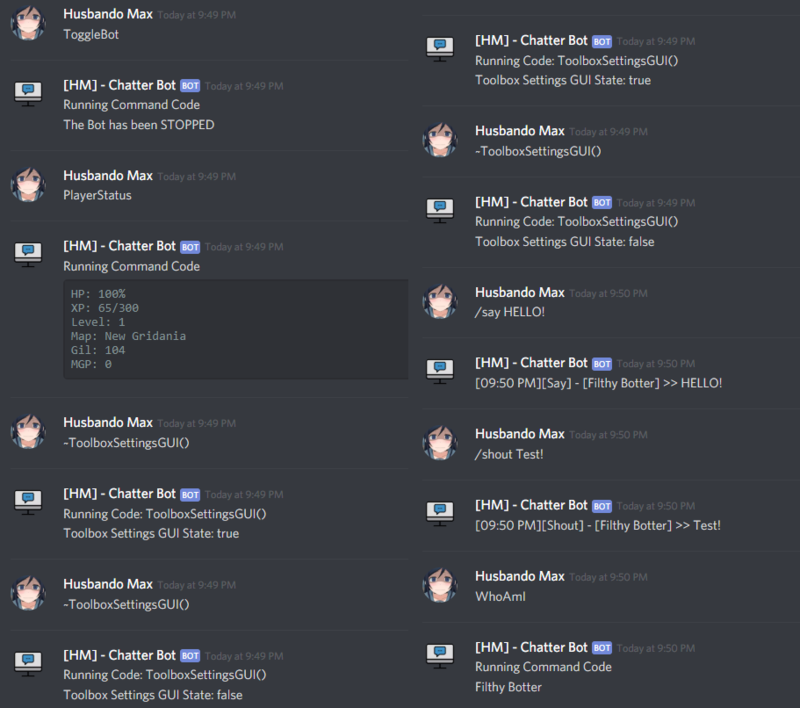 Chatter is a easy to use integration tool for Discord. 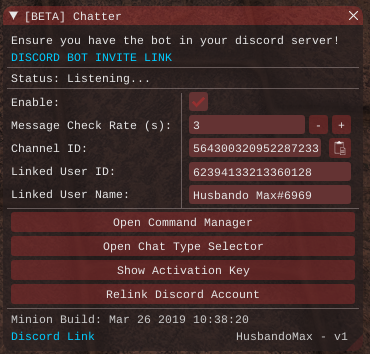 Chatter will allow you to get Game messages instantly sent to your setup discord channel. Will also give you the ability to write messages from Discord to the Game. This also allows you to run bot functions and make your own commands in the addon giving you endless possibilities and complete bot control! Listing just went live on store page. Updated v2 with a few new features and preset commands. List of Preset Commands will be posted on the Wiki and also in the Chatter channel on my discord where I'll be maintaining a list of User Made commands!